Not everyone has the luxury of having multiple bedrooms in their homes—but that’s nothing to lose sleep over. Here at Dwell, we can't get enough of it when architects, designers, and homeowners create clever solutions that make the most of small square footage. Here, we've gathered some of the most interesting and creative bedroom treatments we've seen. From tiny little sleeping nooks and lofts to hidden Murphy beds, these designs allow residents to enjoy comfortable, private spaces—no matter what size or layout they're working with. 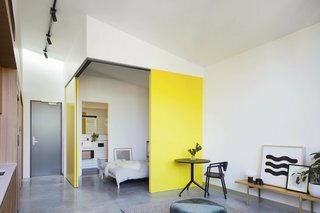 Australian practice MUSK Architecture Studio maximized the units of the Coppin Street Apartments with flexible floor plans and large sliding doors that enclose or reveal some of the bedrooms. In this 880-square-foot home in the Wisconsin forest, custom curtains by Manhattan Textiles delineate the kitchen and sleeping room from the main space. Mad Men’s Vincent Kartheiser’s compact 580-square-foot Hollywood abode has a Murphy bed that can be shielded with red theater curtains that emerge from an adjacent closet. When not in use as the headboard, the large redwood slab folds down to become a desk. 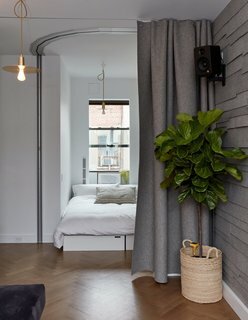 In this tiny studio apartment in Brooklyn, Framework Architecture created a partially enclosed sleeping nook, which snuggly fits a full-sized bed. This 538-square-foot cabin overlooking Lake Steinsfjorden in the woods of Norway has four slight levels and natural space dividers. 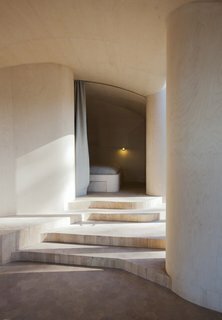 It also holds various nooks for living, eating, bathing, and sleeping. Small space champion Graham Hill’s 350-square-foot apartment has an office that flips into a sleeping corner with seating cubes that can be arranged to form a bed and a curved Hufcor accordion door. An architect couple use multifunctional furniture and a hydraulic Murphy bed with secret compartments to keep the exterior walls uncluttered and achieve a clean and lean look in their 650-square-foot Chelsea apartment. At Cat Macleod and Michael Bellemo’s split-level home in Melbourne, a loft bedroom features a clever divider that Macleod created out of woven engineering felt. 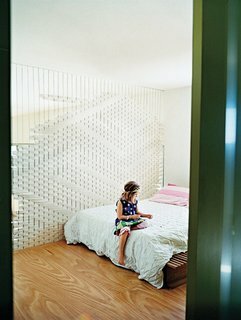 A mattress bed sits on the top of seven steps in Michael Pozner’s abode in Greenwich Village, which measures just under 500 square feet. 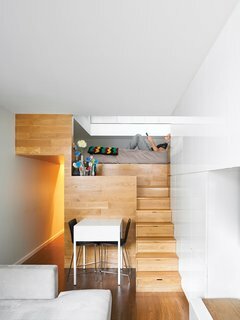 This 700-square-foot apartment in New York City—which accommodates a family-of-four—has smart multifunctional solutions like a desk that becomes a kid’s bed. 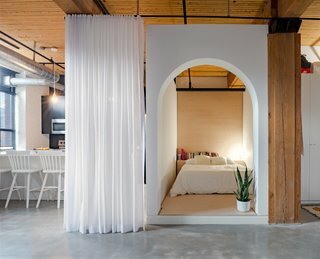 This small L-shaped apartment has a bed box with an arched doorway, white walls, and plywood finishings.